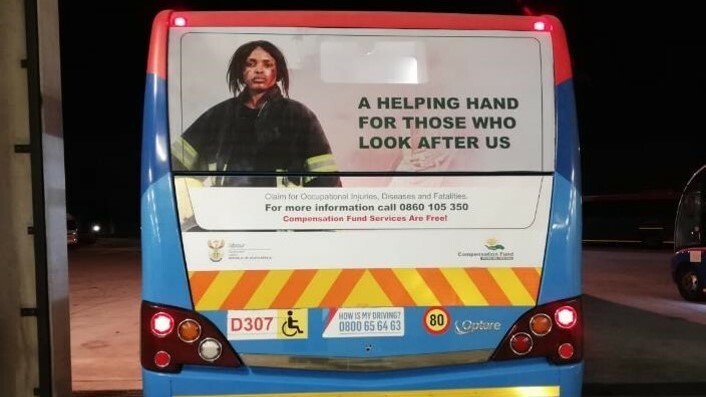 To create awareness for the Compensation Fund, the brand commissioned Transit Ad to implement a two-month campaign in both Johannesburg and Cape Town. The strategy included 45 branded Rea Vaya bus backs, 20 MyCiTi bus backs and a commercial that will flight for three months on the national place-based digital television network, Transit.TV. The bus rapid transport systems in both Cape Town and Johannesburg transport over four million and just under 2.5 million passengers per month respectively. According to Transit Ads, busses are moving billboards that move along the same route daily, multiplying visibility exponentially as the not only reach bus commuters but also pedestrians and motorists on their daily commutes. Coupled to the bus branding, Transit.TV reaches an audience of 13.2 million viewers per month. The television network features content interspersed with advertising and sponsorship messaging, all packaged to entertain, inform and successfully engage the audience. Transit Ads has exclusive media rights to the IRT MyCiTi bus rapid transport system in Cape Town and exclusive rights to Rea Vaya’s Route 1B, which includes the areas of Soweto, Johannesburg CBD, Braamfontein, Kingsway and Empire Roads. The advertising investment opportunities presented by Rea Vaya and MyCiTi aim to be in line with and take advantage of consumer growth, urbanisation, infrastructure development and socio-economic shifts. The buses pass through areas that include universities, malls, business districts and residential. 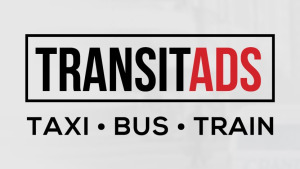 For information visit, www.transitads.co.za. 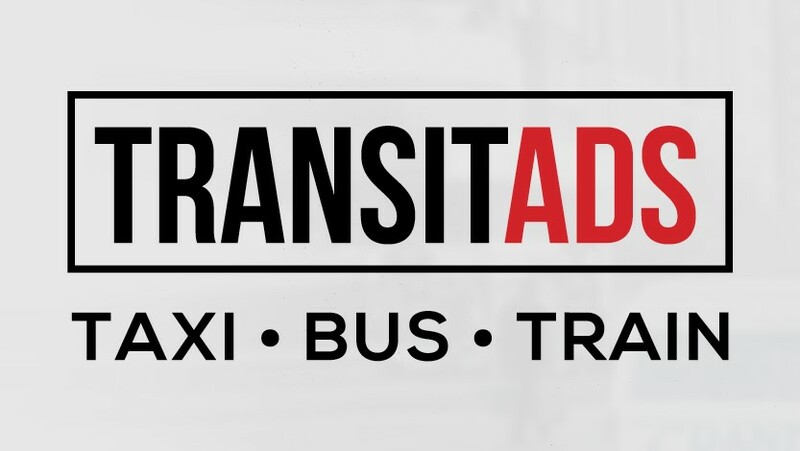 You can also follow Transit Ads on Facebook or on Twitter.